Here in chapter four, Paul is giving his final comments to the Philippians and wrapping up the themes of the letter. He has urged the Philippians once again to fight for unity, to rejoice in the Lord always, and to practice what they have learned from him. The apostle now writes about the Philippians revived concern for him, while also emphasizing that even while in prison he has learned to be content in the Lord. As Paul’s letter nears its end, he now turns his mind toward the love that the Philippians have shown him. This is an interesting verse because at first it could appear that Paul was suggesting that the Philippians did not have concern for him at some point. In order for them to revive their concern, they must have lost some of that concern previously, correct? Certainly not. The apostle even explains that their concern never diminished but their ability did. We do not know why exactly the church of Philippi did not have an opportunity to support Paul, but he expresses his gratitude that they were now able to send him such a gift when they previously could not. Paul’s receiving of their gift likely meant that the situation was improving for the Philippians. We will focus on a point to be made from this verse more next week, but it should also be noted here: local churches must have a vision for fulfilling the Great Commission beyond themselves. While it is true that the importance of the local congregations of believers is difficult to over-emphasize, we must never forget that the gospel can only be made known to every nation and ethnicity via the collective effort of all believers worldwide. Practically, if most of the unreached people groups live in the 10/40 Window, then most churches around the world are not in a position to interact on a daily basis with those people. In fact, many of those areas are hostile to the very idea of an established Christian church existing within their homelands. Thus, we send and support missionaries who take the gospel especially to unreached lands. It is crucial for churches that are not on the frontline of taking the gospel to unreached peoples to partner in the word of these missionaries. Paul’s mission, after all, was just that; he aimed to preach Jesus Christ where He had not yet been named (Romans 15:20). The majority of Christians will not find themselves doing this work for Christ, yet those who do the work of Paul must have the support of we who seek to imitate the Philippians. While there are many ways to express our support and partnership with them, the two primary means are through financial giving and prayer. Just in case his brothers and sisters have mistaken Paul’s gratitude over their gift for him being in great need, he is quick to note that he is content. Notice his wording. He does not claim that he is not in need because he definitely did have needs. However, so that he would not place extra pressure upon a struggling church, Paul quickly emphasizes that despite his needs he found true contentment. In fact, Paul’s rejoicing in their gift was more because of the love that it showed for him, not primarily because of the needs that it met. There is a supernatural beauty to the contentment that is found in Paul. Though he has not mentioned his contentment until now, its calm and confident effects are felt throughout the entire book and throughout his life. The apostle was sitting in prison, his fate uncertain at the time of writing this letter, yet his heart is not troubled or anxious. Paul’s life was a living expression of the peace of God that verse seven describes. The supreme joy that Paul found in Christ displayed itself in an overarching satisfaction that was not contingent upon his circumstances. He had learned to rely upon and need only Jesus in both times of abundance and times of need. Even in the presence of hunger, Paul was able to acknowledge Jesus as the Bread of Life and find his contentment in Christ. This is the true peace that God offers. God does not promise to magically meet every need, as though He were a cosmic genie. God gives us Himself, which is the greatest gift, so that regardless of what befalls us we will be able to rejoice in Him because He is sufficient. This biblical understanding of contentment emphasizes the crucial role of being satisfied in the Christian life. Our contentment is an outflow of God’s goodness toward us, while discontentment reveals a struggling faith in God’s providence. To be dissatisfied as a Christian is to proclaim God Himself and His provisions as insufficient. Proverbs 30:7-9 | Two things I ask of you; deny them not to me before I die: Remove far from me falsehood and lying; give me neither poverty nor riches; feed me with the food that is needful for me, lest I be full and deny you and say, “Who is the Lord?” or lest I be poor and steal band profane the name of my God. Yet Paul’s words are distinct from Agur’s words. Agur knew his own inability to process both riches and poverty; therefore, he prayed for the LORD to keep him from both. Likewise for us, this is still a very wise prayer to pray. Paul, however, speaks to the reality that we will almost always experience times of riches and times of need, yet he has learned to be satisfied even during those highs and lows. He was able to recognize his fulfillment during times of hunger, while also still recognizing his need in times of plenty. Are you forgetting God in the midst of living in abundance? Are you feeling the pain of need and feeling discontentment with your life? Has your discontent ever spiraled into other sins, such as coveting, envy, or greed? But how exactly do we fight for contentment, regardless of our circumstances? Paul answers that very question in our final verse. Yes, the high school football verse! There is nothing that is impossible for a Christian because at just the right moment, Jesus will give them all the strength that they need. If you fail to study for a test, don’t worry. Trust in Jesus, and through Him you will be able to do all things. That is what this verse means, right? Jesus gives us strength, so we can do anything that we set our minds to. Nothing could be farther away from the depth behind this incredibly popular verse. Paul penned this verse in the face of death and imprisonment with his body already failing because of the hardships that he had received. Paul was not looking toward Jesus as an extra boost of strength or a fix-all in the midst of arbitrary circumstances; he was looking to Christ as the only necessary element for strength through imprisonment and even into death. Paul knew that he was able to face any circumstance with joy and contentment because Jesus was everything to him! Jesus was the treasure of Paul’s life. Thus, if he had already found the Source of supreme joy, how could any trial damper his satisfaction? No situation was too great for Paul because Christ gave life to his joints. Even in death, Christ would be all-sufficient. Jesus is the secret to contentment in all circumstances. Unfortunately, this is an easy teaching to claim, but it is quite difficult to actually live. We are so prone to do things in our own strength. Trusting self is for us like water to a fish; we rarely even recognize just how thoroughly we are swimming in it. We move along through our daily lives without blinking at the how frequently take things into our own hands. For instance, since we live in culture of abundance, we rarely pause to give thanks to God for the vast supply of food within our reach, but it is even less common for us to actually pray for Him to continue providing it. Or how often do we approach God’s Word without first begging His Spirit to grant us both understanding and obedience? We do things ourselves. We are, after all, red-blooded Americans who can pull ourselves up by the bootstraps whenever the going gets tough, right? Such an attitude is the opposite of Paul’s confidence in Jesus Christ. The apostle knew that Jesus alone was his strength. His own efforts were hopelessly futile without the Lord’s powerful supply in his life. Brothers and sisters, the greatness of Paul is found only in the apostle’s continuous acknowledging of his own weakness and Christ’s infinite strength. Likewise, the mightiest figures in the history of the church were those who depended upon Jesus the most. Spurgeon, when asked how he was able to do everything that he did, responded by reminding the person that he and the Holy Spirit counted as two people working. Augustine’s profound insights into the ways of God came from how the gospel triumphed over his deep longings for the lusts of the flesh. Martin Luther proclaimed the glories of grace so boldly because he first felt the brutal weight of not being able to obey God’s commands. In God’s kingdom, the least truly are the greatest and the last are first. The weakest often prove to be the strongest because in their weakness, Christ’s strength is upon greater display. Similarly, we will never conquer our own discontented hearts without Christ’s supernatural aid. We cannot face both need and plenty in righteousness unless Jesus is giving us the strength to do so. In fact, we see this very thought in the very first line of Psalm 23: “The LORD is my shepherd; I shall not want.” The great value of sheep can only be achieved through the meticulous and gentle care of a shepherd. He is their defended and provider, their strength and their support. In the hands of a good shepherd, sheep are content. Likewise, because Jesus is our Good Shepherd, we have no reason to want, to be discontent. If we are hungry, He Himself will be our daily bread. When He commands us to obey, He provides His Spirit to enable us to do it. When we are faithless to Him, He remains faithful. When we are lonely, He is beside us, even if we made our bed in the grave (Psalm 139:7). When our own strength and even our heart fails, He is the strength of our heart and our portion forever (Psalm 73:26). Is Jesus, therefore, your strength, or do you desire something or someone else? Are you living according to our own abilities, or is Christ working through you in everything? Are you satisfied and content in Christ, or is your heart searching vainly for something greater? that I may know him and the power of his resurrection, and may share his sufferings, becoming like him in his death, that by any means possible I may attain the resurrection from the dead. Having expressed his dependency upon the grace of God for righteousness, Paul now proceeds to detail the benefits of knowing and being found in Christ. We can roughly break these benefits into three sections: knowing Christ and the power of His resurrection, sharing His sufferings, and attaining the resurrection of the dead. The first benefit of being saved by grace alone through faith alone in Christ alone is knowing Christ and the power of His resurrection. In verse 8, we described briefly the importance of knowing Christ, which Paul considered surpassing more valuable than his own religious works. Here the apostle emphasizes that knowing Christ is a fruit of the gospel itself. Too many envision the good news as a kind of Get-Out-of-Hell-Free card. By saving us from our sins, Jesus grants us access to heaven. Period. End of story. The gospel, however, promises us so much more than a pleasant place to spend eternity; it promises us Jesus Christ. Failing to understand the majesty of such a promise can only mean that the gospel itself is not understood. Jesus is the both the means and the goal of the gospel. He rescued us, and He is our great reward. And thirst our souls from Thee to fill. In Christ, the Father is revealed to us; therefore, our pursuit will not be in vain. God has commanded this of us: “You have said, ‘Seek my face’” (Psalm 27:8). May we answer with the psalmist: “My heart says to you, ‘Your face, LORD, do I seek’” (Psalm 27:8). But the apostle does not stop at simply knowing Christ; instead, he also adds another phrase: and the power of his resurrection. Thus, being transformed by the gospel means knowing Christ and the power that raised Him from the dead. What then is the power of Christ’s resurrection? We should begin with the reminder that it is almost impossible to overstate the importance of the resurrection of Jesus. In 1 Corinthians 15:17, Paul bluntly states: “And if Christ has not been raised, your faith is futile and you are still in your sins.” Without the resurrection of Jesus, Christianity comes undone. There is no hope for the life to come, for us to be saved from our sins, if Christ remained in the grave. The gospel itself depends upon the resurrection. What can be more powerful than that? What knowledge on earth can compare to knowing that God Himself died for the sins of His rebellious creatures and rose from the dead to display His power for all to see? No truth is greater than this. But how can we know the power of Christ’s resurrection? Romans 8:11 provides us with a clue: “If the Spirit of him who raised Jesus from the dead dwells in you, he who raised Christ Jesus from the dead will also give life to your mortal bodies through his Spirit who dwells in you.” The Holy Spirit of God dwells within each and every believer, granting to us spiritual life in Christ here and eternal life with Christ in the age to come. Each Christian knows the power of Christ’s resurrection because it is the very power which saved us from being dead in sin. To believe the gospel is to experience the power of the resurrection. Finally, notice that knowing Christ and the power of His resurrection are entwined with one another. This is no accident on Paul’s part. Rather, Christ cannot be known apart from also knowing the power of His resurrection. To deny the reality of His rising is to deny Christ Himself. We are only able to know Him because of His victory of the grave on our behalf. The second benefit of salvation is sharing in the sufferings of Christ. Like verse 29 of chapter one, we might be tempted to slide past this verse without giving it too much thought; however, it is crucial for understanding Paul’s joy in the midst of suffering. To understand this, we must first understand Christ’s sufferings. The afflictions of Christ were so essential to His life that Isaiah gave Him this description: “He was despised and rejected by men, a man of sorrows and acquainted with grief; and as one from whom men hide their faces he was despised, and we esteemed him not” (53:3). As the hymn declares, “Man of sorrows, what a name for the Son of God, who came ruined sinners to reclaim”! And although Christ’s life was one of rejection and sorrow, the very pinnacle is the cross. In fact, Paul made such a claim already by placing the crucifixion of Christ at the very depth of His humiliation for us (2:8). The sufferings of Christ upon the cross are so central to the life of Christ that we can rightly declare that Jesus came to earth to die. His atoning death was the reason behind the glorious miracle of the incarnation. As with the resurrection, we cannot overstate the vast importance of the sufferings of Christ via the cross. But what then does Paul mean about sharing in Christ’s sufferings? After all, wasn’t the whole point of the cross for Jesus to suffer in our place? Paul is certainly not implying that we must somehow add to the sufferings of Christ with our own. The blood of Christ is entirely sufficient to save. Instead, he is describing how we must become imitators of Christ, especially in suffering. If Jesus was the Man of Sorrows and we are His disciples, will we not also be marked by suffering? Jesus warns us of this very thing: “A disciple is not above his teacher, nor a servant above his master. It is enough for the disciple to be like his teacher, and the servant like his master. If they have called the master of the house Beelzebul, how much more will they malign those of his household” (Mark 10:24-25). As followers of Christ, we can only expect to suffer like our Lord suffered. The writers of the New Testament remind us often of this fact. 1 Thessalonians 3:2-3 | And we sent Timothy, our brother and God’s coworker in the gospel of Christ, to establish and exhort you in your faith, that no one be moved by these afflictions. For you yourselves know that we are destined for this. 1 Peter 4:12-13 | Beloved, do not be surprised at the fiery trial when it comes upon you to test you, as though something stranger were happening to you. But rejoice insofar as you share Christ’s sufferings, that you may also rejoice and be glad when his glory is revealed. Christians are destined to suffer for Christ, and that should not be strange news to us. The disciple must be like his teacher. Christians must be like Christ. Yet also pay attention to the particular wording here: and may share his sufferings. I cannot recall whether it was a book or a podcast where I was first introduced to this idea, but it is a crucial distinction to make: Paul, along with the early Christians, considered themselves to be suffering alongside Christ during their afflictions. Today, however, a strong tendency exists to take comfort that Christ suffers alongside us in our sorrows. Instead of being comforted that we are with Christ, we are comforted that Christ is with us. The difference is subtle, but this is not a splitting of hairs. One view gives us the honor of suffering alongside Christ, while the other essentially gives Christ the honor of suffering alongside us. Christ is the focus of the first, while we are the focus of the second. We are each called to suffer with Christ. And yes, Jesus promises to be with us until the end of the age (Matthew 28:20), but our joy in the midst of suffering is that we (like the apostles) are “counted worthy to suffer dishonor for the name” (Acts 5:41). The final phrase of verse 10 is an interesting one. As we suffer with Christ, we become like Him in His death. The NASB’s translation is more preferable: being conformed to His death. Just as form and conform are related words in English, so is the Greek word here related to the word used for form in verses 6-7 of chapter two. Just as Jesus took the form of a servant when dying for us upon the cross, so we are conformed to Him through our sufferings for the gospel. In this way, the life of the Christian is cruciform. We live in the shadow and shape of the cross, and it impacts every aspect and facets of our lives. By the way, in case it has not become obvious yet, the letter of Philippians increasingly becomes the bane of Nominal Christianity. Cultural (or Nominal) Christianity has also been called Moralistic Therapeutic Deism, and it is nothing like what Paul has been describing here. These “Christians” give no concern to knowing Christ, only to escaping hell. They do not desire to be conformed to the death of Christ, only to live as comfortably as possible in this life and in the one to come. They are not driven by a love of God but by selfish motives. Cultural Christianity goes against everything that Paul is presenting before us. The third and final benefit of being saved by the gospel is attaining the resurrection of the dead. First of all, we should remind ourselves what resurrection Paul is referring to here. Within the Christian faith, two resurrections must be believed in order to remain orthodox: the resurrection of Christ and the resurrection of the dead. Having already discussed Jesus’ resurrection, the resurrection of the dead is the future resurrection of all mankind either to everlasting life or everlasting death. Thus, the common conception of us spending an eternity in heaven floating on clouds with harps and angel wings is not presented by the Bible. Instead, followers of Christ will be raised back to life in glorified bodies that are no longer capable of sin, and we will live forever with the Lord upon the New Earth. Heaven, therefore, is not a mystical dreamworld. It is the reality, and this life is the dream. We will live forever in the physical presence of Jesus Christ our Lord. Because being with Christ will be our great reward, we must understand that even our resurrection is about knowing Christ. And this, again, is why the resurrection of Jesus is so crucial. His raising from the dead is the pledge of our resurrection with Him to come. The resurrection is, therefore, an essential doctrine of the faith, which helps to explain Paul’s language for attaining the resurrection by any means possible. But what exactly does that phrase mean? Should we be desperately looking for a means of attaining the resurrection? Was Paul not confident in the sacrifice of Christ to give him eternal life? No, and no. The apostle has just finished ranting against attempts to earn salvation through human effort, meaning that the resurrection is also a gift from God through faith in Christ. Instead, Paul is pointing to the intimate connection between attaining the resurrection and being conformed to the death of Christ. He is looking to the resurrection as His final goal, the finish line, and against such a magnificent promise, the present sufferings are a light momentary affliction. Once again, this isn’t saying that we are justified by our cruciform life, but the evidence of the gospel is the daily death of self as we come to know Christ more and more. In short, those who will not die with Christ here will not live with Christ in the resurrection. But of course, I’m not talking about martyrs exclusively. Each day we are given the choice of living for our own glory or the glory of Christ, to yield to our desires or to die to self. If we have no willingness to pour out our lives for the sake of Christ, then we cannot hope in the being with Him for eternity. If we do not treasure Him above all things now, how can we expect to treasure Him in the life to come? Do you enjoy Christ here on earth? If not, you will find no enjoyment of Him in heaven. Does your life here revolve around the crucified and risen Savior? If not, heaven will be entirely unpleasant for you since heaven is all about Christ. But if knowing Christ is your greatest joy now, you will know Him by sight in the resurrection, which indeed is joy unspeakable and full of glory. Though I myself have reason for confidence in the flesh also. If anyone else thinks he has reason for confidence in the flesh, I have more: circumcised on the eighth day, of the people of Israel, of the tribe of Benjamin, a Hebrew of Hebrews; as to the law, a Pharisee; as to zeal, a persecutor of the church; as to righteousness under the law, blameless. Thus far, Paul has expressed his affection and thanksgiving for the Philippians’ partnership in his ministry. He then addressed concerns regarding his imprisonment by reassuring them that God was actually using it to advance the gospel and that He would keep doing so. Paul also urged the Philippians to behave as citizens worthy of the gospel by being of the same mind and love, following Christ’s perfect example of humility. In our last study, Paul began to address the danger of legalism, warning particularly against those who required Gentile Christians to be circumcised. Within our present text, Paul challenges anyone to produce a religious résumé greater than his own, while then emphasizing that he, like everyone else, is dependent upon grace alone through faith. After soundly arguing against the principle of placing confidence in one’s flesh, Paul pulls out a plot twist by saying that he has more reason than anyone for putting confidence in his flesh. With the credentials that follow, we may be tempted to think of the apostle as boasting in his accomplishments; however, the exact opposite is true. He is merely sayings that if anyone could be confident in their good works it would have been him. But they were meaningless. Nothing but vanity. That’s the point. If Paul wasn’t qualified to earn his own salvation, no one is. Verses 5-6 then act as Paul’s religious credentials of sorts. Studying it, we must admit that it is quite impressive. Circumcised on the eighth day – It is important to note that Paul did not refute the Judaizers’ emphasis on circumcision because he did not want to go through the painful process. No, Paul was circumcised when he was only eight days old, as Jewish law commands. Thus, if circumcision was the means of justification, Paul already did it. He would only argue against something that he has already accomplished if he truly understood that it was not sufficient. Of the people of Israel – It is clear throughout the Old Testament that the Jewish people were special. Yet they were special not because of anything that they had to offer but because God Himself chose them to be His chosen people. The Israelites were the people of God, set apart and made holy for divine purposes. Paul, therefore, was not an “unclean” Gentile, but a member of this holy nation. Of the tribe of Benjamin – Aside from simply belonging to the Israelite people, Paul knew exactly from which tribe he came. The tribe of Benjamin was certainly one of the more prestigious of the twelve tribes. A Hebrew of Hebrews – Though Paul was raised in a Hellenistic city, this did not prevent him from learning the fullness of his Jewish heritage. Yes, he knew and mastered the Greek language, which allowed him to scribe the letters that we have presently, but he was also a devout student of Hebrew, which even in their day was a less than popular language. As to the law, a Pharisee – The Pharisaic sect was the all-star team of Judaism. They were the most educated men in Israel. Their theology was solid. Their commitment to keeping God’s Word was unparalleled. They had such a deep commitment to upholding the Law that they actually created their own laws (that were stricter) just so that they could avoid breaking God’s Law at all costs. Their numbers were always small and elusive. Paul had not only made the cut to be a Pharisee, but he was a disciple of Gamaliel, one of the greatest Pharisees ever to live. As to zeal, a persecutor of the church – Zeal, or passionate fervor, for God and His Word was one of the most valued qualities of a devout Jewish person of God. Paul claims that his zeal for Judaism was so fierce that he killed those who ascribed to the “heretical” Christian sect. To be fair, it is difficult to imagine a greater form of passion than the willingness to kill for one’s beliefs. As to righteousness under the law, blameless – I see this as Paul challenging his readers to find fault in him. He is certainly not claiming to be without sin; rather, according to all of the works and ideals of Judaism, Paul says he was blameless. He did everything required of him and more. Only a handful of people throughout history could match Paul’s religious dedication and practice. Merida and Chan use these seven items as seven kinds of works that we often attempt to place our confidence in. Circumcision relates to our confidence in rituals. Being an Israelite and Benjamite correlate to our security in ethnicity and rank. A Hebrew of Hebrews and Pharisee can be seen as tradition and rule-keeping. Finally, a persecutor and blameless are linked to zeal and obedience to the law. Of course, none of these are bad things, but they are not sufficient to justify us before God. Which of these do you most associate with? What form does legalism take in your life? Now with this religious résumé, Paul is using himself as an example to say that if anyone could be justified by their works, it would be him. If there was anyone that could find fulfillment in the works of their flesh, it would be Paul. In practice, a large portion of us will spend our entire lives attempting to do a fraction of what Paul did. However, verse 7 will show us his true opinion of all his efforts. Ah! What a sweet but painfully difficult verse to read! Paul’s true heart about his works is made known: that he counts it all as loss in comparison to Christ. This man, who claimed to have been blameless in his religiousness, considers everything on that list in verses five and six to be nothing when placed in the light of Christ. Notice what is portrayed here. Paul does not say that he failed to find fulfillment in his works. All of his moral accomplishments surely gave him a form of happiness and contentment, an assurance that he was living his life for the greater good. And that is all true. Legalism does offer a form of satisfaction, a form of gratification that comes from living for a higher purpose. Yet in this sense, religion can become little more than altruistic hedonism. It is hedonistic because the ultimate goal is pleasure. It is altruistic because it derives that pleasure from doing good. Yet even though pleasure can be found in religious works, it is not lasting. It is not eternal. It cannot lead to a permanently satisfied life. It cannot result in joy. Thus, it is this common thread of joy that comes back into play. The joy that Paul is not afraid to repeat over and over again to the Philippians can only be found via this verse. It is not a matter of what we do, but rather it is a matter of who Christ is. The joy of this letter is not found in work or religiousness. It is only found in the glory and the supremacy of Christ. Just as we saw in the previous chapter, one day everyone will acknowledge that Jesus is supreme, that He is Lord. Being supreme and being one with God puts Jesus as the Creator and Sustainer of the all that exists. This makes Jesus the supreme source of good. Thus, when God wants to give us the greatest good, He gives to us Himself. The glory of the resplendent Christ far outshines all else so that our greatest hopes and works become mere vanities by comparison. Expounding upon his thought in verse seven, Paul then specifies that there is a surpassing worth in knowing Christ. This knowledge is so valuable that everything is counted as loss (no longer just his religious works) in comparison to it. Jesus is of greater value to Paul than all things put together. The apostle, therefore, joyfully counted everything as lost to him because Christ is far greater and more than enough for him. Especially with the “gain” and “loss” language, it is almost as though Paul is presenting this with the logic of mathematics. If Jesus is greater than everything, I can then have Jesus plus nothing else and still be better off than if I had everything except Jesus. This explains the joyfulness of the apostle in the midst of his numerous sufferings. His persecutors had absolutely zero ability to diminish his love of the gospel because he knew Christ. Some have gone so far as to argue that Paul was using mild profanity here, and while I don’t think that is the case, it seems to be more impolite than we would often care to admit. Perhaps the best translation in present-day English is “crap” or “dog crap.” While crap is certainly not considered profanity, it is still quite crass. The apostle’s point, of course, is that everything in life is as valuable as a steaming pile of dog crap when compared to Jesus Christ. That’s not to say that things don’t have value. They do. But when placed beside Christ, there is absolutely no comparison. The final phrase in verse eight leads into one long thought that runs through verse eleven. Built upon the surpassing worthy of knowing Christ, Paul claims that he suffered the loss of all things and counted them as rubbish “in order that” he may gain Christ and be found in Him. This is the glory of losing everything for the sake of Christ: we get Jesus! Christ, Himself, is the reward that makes losing everything completely worth it. Jesus is the great gain that the author of Ecclesiastes searched for under the sun. He is the answer to the vanity of life and placing our hope within our own righteousness under the law is like striving after wind. Notice also Paul’s emphatic source of righteousness: from God, through faith, and in Christ. Obtaining righteousness through obedience to the law is a fool’s errand. It cannot be done. But this doesn’t diminish the purpose of God’s law because without each of God’s commandments, we would be blind to the depth of our error. Gazing into the God’s law exposes our depravity and helplessness, which, of course, makes the good news even more beautiful. Because of the death and resurrection of Jesus Christ, our righteousness now comes from God Himself through faith in Christ. God is the source. Jesus is the means. And faith is the mode. Our righteousness, therefore, a pure gift of God, leaving us with nothing to boast of before God. Since Paul’s righteousness was only found by faith in Christ, the Author of life, his counting everything as loss makes complete sense, as does his joy in the midst of suffering. Can you also make such a claim? Has the great gain of knowing and being found in Christ eclipsed everything else in your life? Could you truly rejoice in Christ even if everything else was taken from you? Some indeed preach Christ from envy and rivalry, but others from good will. The latter do it out of love, knowing that I am put here for the defense of the gospel. The former proclaim Christ out of selfish ambition, not sincerely but thinking to afflict me in my imprisonment. What then? Only that in every way, whether in pretense or in truth, Christ is proclaimed, and in that I rejoice. So far, Paul has opened his letter by thanking God for their partnership in the gospel. As partakers with him of the grace of Christ, Paul expressed his affections for them and his confidence that Christ would continue to preserve them in the faith. Finally, Paul concluded his greeting with a prayer for their love to abound more and more. The apostle now shifts topics by addressing the fruits of his imprisonment. Learning that Paul was imprisoned could easily have shaken the faith of the Philippians, yet Paul desires the opposite. He assures them that, by God’s providence, his confinement was actually advancing the gospel by making Christ known to the imperial guard and encouraging other Christians to be bold in speaking the Word. Paul now begins to describe to the Philippians his present circumstances, which of course was being in prison. Paul’s imprisonment must have been quite a trying time for the early church. After all, Paul was the most prominent missionary of the first generation of believers. His contributions to Christianity have been said to only be second to Christ; however, we must be wary of elevating Paul’s importance too high. As Paul clearly understood, he was simply a servant of Christ. He was merely a living offering and testament to the magnificent graces our Lord. Christianity was not built upon Paul, but upon the Savior that he preached! And with such a great Savior, how could the gospel ever cease its advance! Thus, for the sake of Christ’s glory, Paul reassures the believers that the gospel continued to advance in the midst of Paul’s present circumstances. Indeed, the advancement of the gospel is Paul’s primary desire. As we remember, although Paul once persecuted the Body of Christ, Jesus revealed Himself as the risen Lord to Paul and making him an apostle alongside the eleven remaining disciples. Thus, he who ravaged the church (Acts 8:3) was given marvelous grace in Christ. The gospel, therefore, was not an intellectual concept for Paul; instead, it was the very “power of God” (1 Corinthians 1:18). The apostle was more than willing to live or die for this message of good news, and its advancement was his highest priority. O’ that we might also have such desires! Too often are we like one who “is driven and tossed by the wind… a double-minded man, unstable in all his ways” (James 1:6, 8). At times, the gospel is our most precious treasure, while at other times, we elevate our will as more important than the will of God. May God make us more like Paul so that every desire we have is secondary to our desire to see the gospel advance. In fact, Paul’s hope in his imprisonment is rooted in its service to the gospel’s advancement. While the word “served” is not present in the Greek (the NASB’s phrasing, “my circumstances have turned out for the greater progress of the gospel” is more literal), the idea is still doctrinally sound. God, in His providence, takes our trials, tribulations, and sufferings and uses them as servants for the advancement of the gospel. Such providential workings of God can be seen clearly in the life of Joseph, who experienced slavery in Egypt in order that he would rise to second-in-command and save Egypt and his own family from a severe famine. He confessed God’s providence to his brothers after Jacob’s death: “As for you, you meant evil against me, but God meant it for good, to bring it about that many people should be kept alive, as they are today” (Genesis 50:20). Belief in God’s providence means placing our confidence in God’s promise that “for those who love God all things work together for good, for those who are called according to his purpose” (Romans 8:28). God providentially brings good out of suffering. We can rest in the comfort of that truth, so long as we remember what “good” God is doing. For Luther, God used his sufferings to give him deeper comfort in the Word of God. For Joseph, God used his sufferings to rescue many from famine, including his brother Judah from whose lineage Jesus would come. For Ruth and Esther, God also used their sufferings to preserve Jesus’ ancestry. For Paul, God used his imprisonment to advance the gospel. God, therefore, promises to use our suffering for good, but if our idea of good does not align with God’s idea of good, then how can we hope to be comforted? If our heart is set on things other than the kingdom of God (Matthew 6:33), we will often be sorely disappointed as God advances His own kingdom rather than ours. Yet if our heart is in heaven with God, who is our treasure (Matthew 6:21), we can then find great comfort that God would use us as instruments for the advancing of His kingdom. To many, this may sound petty, as if God is merely using our trials and sufferings for His own gain. However, what better use could there be of our sufferings? What higher good could be brought from our tribulations? What greater purpose might be gleaned from our hardships? If we recall that suffering comes as a result of sin’s entrance into the world via the Fall, we would behold this for the grace that it is. Our rebellion, both of Adam and Eve and us today, rightfully earns our trials within this broken world. In fact, we do not deserve how peaceful and ordered the world presently is. We deserve to feel the effects of our cosmic treason against the Creator, both directly and indirectly. The miracle, however, is that God would, first, save us from our sins at the cost of His own blood and, second, would thereafter ensure that all of our hardships and sufferings serve the greatest goal imaginable, God’s glory. If we indeed love God and His purpose, we can trust that He is working out everything for His good, and in that, we will rejoice. Verse 12 presents the thesis of our text, that Paul’s imprisonment is advancing the gospel. Within verses 13-14, Paul provides two examples of how this is occurring: first, the whole imperial guard is now aware that his imprisonment is for Christ and second, many of the brothers have been further emboldened to preach without fear. Paul’s first example of how the gospel is advancing through his imprisonment is that the whole imperial guard now knows that he is imprisoned for Christ. Who are the imperial guard, and why are they a big deal? The second effect of Paul’s imprisonment is that it emboldened other Christians to speak the Word without fear. Obviously, the Roman officials and Jewish authorities were hoping for the exact opposite results, that Paul’s imprisonment would discourage other Christians from spreading the gospel. Unfortunately for Christianity’s opponents, history reveals time and time again the truth of Tertullian’s words: “The oftener we are mown down by you, the more in number we grow; the blood of Christians is seed” (Apology, L). Paul’s teacher, Gamaliel, warned the Sanhedrin of this very problem in Acts 5. He recalls two examples of leaders whose revolutionary movements dissipated after their deaths, and he advised that if Jesus was merely a man, His followers would disband as well. Yet Jesus’ disciples only became bolder after His death (because of His resurrection), and the church continued to spread even as the apostles were each imprisoned and martyred. Just as Gamaliel feared, Christianity was not formed around a cult of personality but around the divinity of Christ. The church continued to survive the sufferings and deaths of its leaders because Jesus ultimately is the builder of His church, which He guides by His Word and empowers by the Holy Spirit. Therefore, the imprisonment of Paul only emboldened the Christians in Rome. His life displayed what Jesus promised would happen: “Beware of men, for they will deliver you over to courts and flog you in their synagogues, and you will be dragged before governors and kings for my sake, to bear witness before them and the Gentiles” (Matthew 10:17-18). Yet throughout his sufferings, Paul repeatedly modeled the power of God in enabling him to bear through such torments. In other words, Paul’s joy throughout his trials was evidence to the believers watching him that eternal life in Christ is worth facing the greatest horrors of this world. God’s grace in preserving our brothers and sisters through suffering also serves as a reminder to us that His grace will also preserve us when our time comes. May we, therefore, become emboldened to speak the Word without fear whenever we see the Lord standing beside and communing with those who are suffering. These three verses expound upon the effect of Paul’s imprisonment in verse 14. Unfortunately, even though Paul’s sufferings did embolden the other believers to proclaim Christ, not everyone did so from pure motives. Paul explains that some were preaching Christ from love and good will, knowing that Paul’s trial is really all about defending the gospel. Yet there were others who proclaimed Christ from envy, rivalry, and selfish ambition. That last group can be quite puzzling, especially since proclaiming Christ meant placing a target on one’s back for persecution. We may, therefore, be tempted to wonder what made them envious of Paul’s imprisonment and how they were preaching Christ from selfish ambition. The answer, unfortunately, provides us a further glimpse of the human heart’s depravity. These verses are the only details we have of why Christ was being preached insincerely. Paul is obviously not placing these people in the same grouping as the Philippians’ opponents (1:28). Since we are left to our own deductions, I would assume that these people had a pharisaical mindset. Just as religious hypocrites would look gloomy and disfigure their faces to get attention while fasting (Matthew 6:16), so this group is probably attempting to appear bolder and more spiritual than Paul. In other words, they may have been jealous of the attention Paul was getting in prison. In essence, this group seems willing to embrace the suffering that might arise from proclaiming Christ, not for God’s glory, but for the elevation of their own name. If this sounds a bit difficult to believe, simply consider those who sought martyrdom in the early church. While many Christians in the Roman Empire lived in near constant fear of the next wave of persecution, some Christians actually looked to be martyred. Some desired martyrdom because they viewed it as a guaranteed way of entering heaven, which more resembles the Islamic doctrine of jihad than the assurance of salvation in Christ. Others faced martyrdom with the hope of being remembered for their bravery and holiness. Such a mentality is probably why the Polycarp (the martyr mentioned above) was praised by his church for not seeking martyrdom but also not fleeing either. But does such selfish ambition make these people false teachers? Technically yes, but certainly not in the ordinary sense. Typically, false teachers are thought of proclaiming false doctrine. Since Paul rejoices that Christ is still proclaimed, their teaching must be orthodox. The problem lies in their hearts, not their words. They are declaring biblical truth, yet they are still false teachers in the sense that their teaching comes from false motives. They may be proclaiming the supremacy of Christ, but they are seeking their own glory in doing so. We must carefully guard against such a subtle and secret sin. Most Christians will never proclaim Christ in a sermon from a pulpit, but each of us is called to preach Christ to the dying world around us, to our friends, family, and neighbors. Evangelism, therefore, like the preaching of a sermon, can be done technically correct, while arising from impure motives. This sharing may even yield fruit, but such fruit comes from the grace of God and is not necessarily indicative of our motivations. We certainly can do good works from a sinful heart. Let us regularly examine ourselves then, that we will repent of doing anything for God out of pretense. And yet another great indictment lies upon many of us today. Such a warning to preach Christ from truth rather than pretense may ring hollow for us because we fail to proclaim Christ at all. The primary cause of this failure is lack of understanding of and/or meditation upon the gospel. If we truly believe that eternal life is only found in Christ and apart from Him is only eternal death, then the good news that Jesus rescues sinners from the eternal consequences of sin is the greatest message imaginable. The gospel proclaims that “everyone who calls on the name of the Lord will be saved” (Romans 10:13), but no one can call without first believing. And no one can believe without first hearing. And no one can hear unless someone first preaches the gospel to them (Romans 10:14). To understand the gospel means also understanding that others need the gospel. We should all, therefore, cry out with Paul: “Woe to me if I do not preach the gospel” (1 Corinthians 9:16)! Repent of silence and proclaim Christ with all boldness. In spite of some preaching Christ from selfish ambition and because of his passion for the gospel, Paul still rejoices in the proclamation of Christ. This returns us to Paul’s original hope and desire for the advancement of the gospel. 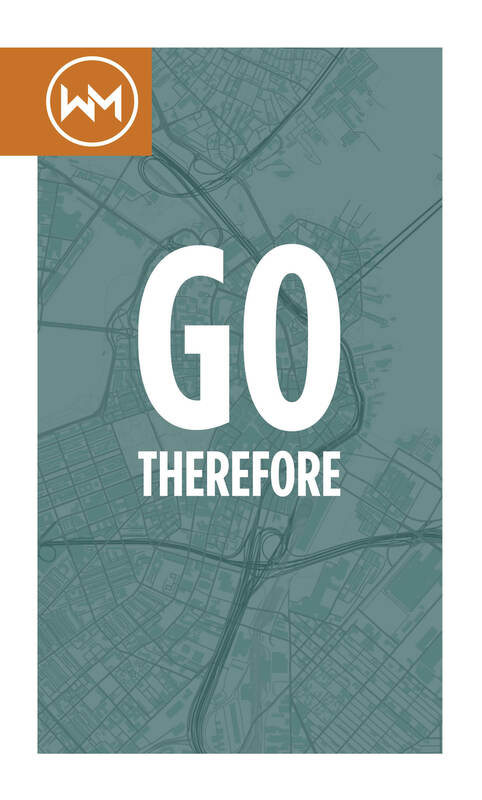 The gospel advances wherever Christ is preached. In fact, the gospel cannot progress without the proclamation of Christ. The gospel is good news, and news must be delivered in words, whether spoken or written. Paul, therefore, rejoices in the proclamation of Christ (even when done in pretense) because the gospel is advancing. And if the gospel advances, so too does the glory of God. May we rejoice as well in the glory of God through the progress of the gospel and the proclamation of Christ. So far we’ve studied Paul’s opening words to the Philippians, considering how he praised God for their partnership in the gospel, how he was confident that God would keep them rooted in the gospel until the end, and how he yearned for the Philippians with the affections of Christ. We now conclude this introductory paragraph with Paul’s prayer for his brothers and sisters at Philippi. The central request of the prayer is that their love would continue to flourish, as they also grow in knowledge, discernment, and are filled with righteousness. In short, Paul prayed for spiritual growth that would bear fruit in every aspect of their lives. The central theme of Paul’s prayer for the Philippians is found here: that your love may abound more and more. Every other phrase and clause within these verses builds upon this one idea. If Paul’s central aim is that the Philippians’ love might continue to grow, then the first question that we must consider before continuing onward is: what is love? Even though love is universally felt and almost constantly referenced, love is notoriously difficult to define. As Tozer said, “We do not know, and we may never know, what love is, but we can know how it manifests itself, and that is enough for us here” (170). But how does love manifest itself? Love is often referred to as an emotion, but it must also be understood as an action. Love is partly what we feel, but it is also what we do. Love is both an affection and an exercise. This dual nature of love can be witnessed in our present text. In verse 8, Paul described his affection for the Philippians, and in verses 10-11, his prayer is that their love would be manifested in good works. Paul’s prayer is that both the affections and good works of love would abound more and more. To this end, he prayed for the Philippians’ love to flourish. Of course, Jesus is the greatest example of such boundless love. The Gospels give us many glimpses at the affections of Christ. While speaking to the rich, young ruler, we are told that Jesus loved him (Mark 10:21). As Jesus preached to the crowds, He had compassion on them because they were “like sheep without a shepherd” (Matthew 9:36). And perhaps the most famous example is Jesus’ weeping at the death of Lazarus (John 11:35). But Jesus did not merely feel the affection of love; He also displayed love. His love for the rich, young ruler manifested in His revealing the ruler’s idolatry of wealth. His love for the crowds manifested in His teaching them (Mark 6:34). His love for Lazarus manifested in His raising him back to life. Yet all of these examples are dwarfed by the cross. Christ told His disciples, “This is my commandment, that you love one another as I have loved you. Greater love has no one than this, that someone lay down his life for his friends. You are my friends if you do what I command you” (John 15:12-14). Our sinfulness is expressed not only in our desire to break God’s greatest rules but in our willingness to break even his smallest ones. And this is the utter horror of the smallest sins. They prove our hearts are so desperately wicked that there’s no area of life in which we won’t express our rebellion against God. The indescribable love of God displayed on the cross comes to us in the midst of this blatant rebellion against Him. Yet in these verses from John 15, Jesus also commands us to love one another. In fact, He goes so far as to claim that our friendship with Him is evidenced by our love for each other. The very heart of the Christian faith, therefore, revolves around love. God so loved that He died to save us (John 3:16), and we respond by loving God and each other (Matthew 22:36-40). Because love is so central to the faith, we cannot grow into maturity without growing in love. To abound more and more in love is to further and further walk in imitation of Christ (Ephesians 5:1-2). Yet, as previously noted, love is more than simply an emotion; thus, Paul fittingly provides qualifying phrase onto his prayer: with knowledge and all discernment. The apostle wanted the Philippians’ love to affect the mind as well as the heart. For some, the pairing of love and knowledge may seem slightly odd. Remember, however, what kind of love and affection Paul expressed for the Philippians in verse 8: the affection of Christ Jesus. And this is the same love and affection that Paul is now praying for the Philippians here. But in order to love with the affections of Christ, we must first understand who Jesus is and how He loves. Therefore, knowledge is the key to loving properly. Without a proper knowledge of Christ, we cannot be certain that our love is actually imitating Him. Love without knowledge is like a car without a road. The knowledge of Christ forms the pathways by which the Spirit enables us to love like Christ. Love must always, therefore, be an exercise of both the heart and mind. The concept of discernment is so tied to the first phrase of verse 10 that would be best to discuss them together. In verse 9, we observed Paul’s prayer for abounding love in the Philippians, as well as his qualification that their love be jointly connected to knowledge and discernment. In verses 10-11, Paul declares what he prays will be the outcomes (or the fruits) of their abounding, knowledgeable, and discerning love. The first outcome for which Paul prays is that you may approve what is excellent. Approving what is excellent is the fruit of discernment. If knowledge is the possession of information, discernment is the ability to form wise decisions with said knowledge. Discernment, therefore, can be understood in two broad categories: being able to discern what is good from what is evil and being able to discern what is better or best from what is good. When Paul prays for the Philippians to approve what is excellent, both of these kinds of discernment can be easily applied. The discernment of the Holy Spirit is needed to know whether or not an action that is not inherently sinful might be sinful for you. Drinking alcohol is one of the classic examples of this. The Bible clearly makes no prohibition on alcohol in general, only on drunkenness. Yet there are many factors that may lead a Christian to see drinking alcohol as going against their conscience, whether it is a familial history of alcoholism, past experiences, or simply personal conviction against drinking. Areas of personal conviction, such as this, require the ability to discern whether we are acting in faith: “for whatever does not proceed from faith is sin” (Romans 14:23). This form of discernment may also apply to our ability to discern sound doctrine from false doctrine. John Chrysostom believed this to be Paul’s primary usage here: “He prays that they will not receive any corrupted doctrine under the pretense of love” (ACCS, 221). Such a tendency is no less present today than in days of Paul or Chrysostom. Especially over the issue of homosexuality, we have witnessed a multitude of churches abandon the clear teachings of Scripture on the pretense of love. Because doctrine shapes our understanding of who God is, we can never claim to adopt love at the expense of proper doctrine. Our love must be filtered through the lens of knowledge and discernment, approving what is excellent and disapproving what is corrupted. Our ability to discern between what is good and what is better or best can be witnessed in Jesus. In Mark 1:35-39, Jesus is told by His disciples that everyone in Capernaum was looking for him, but Jesus replied that He needed to continue preaching in the other towns of Galilee. His healings were good, but they were only intended to authenticate His preaching, which was better. We must fervently pray for this kind of discernment as well, lest be like Martha, choosing temporal, lesser things over eternal, necessary things. Yet approving what is excellent is only one piece of the puzzle. Because the temptation of sin is great, we can all too easily relate with Ovid’s confession: “I see the better and approve it, but I do not cease to follow the worse” (VII.20-21). Aware of this, Paul also prays for a second outcome to flow from their abounding love: purity, blamelessness, and being filled with the fruit of righteousness. In other words, Paul does not merely want us to choose what is right but to also do what is right. Each of these phrases here strike at the same core idea of living in a godly manner. The fruit of righteousness could easily be linked with fruit of the Spirit in Galatians 5:22-23: “But the fruit of the Spirit is love, joy, peace, patience, kindness, goodness, faithfulness, gentleness, self-control; against such things there is no law.” Each of these virtues reflect the attributes, nature, and character of God; therefore, we live godly lives by embodying (or living out) these fruits. The righteous, or godly, life is a life lived in imitation of God, fulfilling our duty of being the bearers of His image. Paul rightfully then prays for a life filled with these fruits of righteousness. The words Paul uses for purity and blamelessness here, however, are not his usual choices. Purity normally denotes the idea of untainted or without corruption. The purity of gold and other precious metals is measured by how free they are of other elements. Purity here, however, conveys the idea of being tested and judged genuine or, we might say, sincere. Paul has in mind someone who is not two-faced or acting out of ulterior motives. Gordon Fee comments on Paul’s word choice of blameless as follows: “Likewise, aproskopos is not Paul’s regular word for the idea of “blameless.” Ordinarily, as in 2:15 and 3:6, he uses a form of amemptos, a word denoting behavior that is without observable fault. But aproskopos has to do with being “blameless” in the sense of “not offending” or not causing someone else to stumble” (102). These word choices only further emphasize the communal aspect of verses 3-11. Our being filled with the fruit of righteousness is not simply an individual matter. We must make decisions in love, with knowledge and discernment, righteously avoiding ulterior motives and doing our best not to be a stumbling block for our brothers and sisters in Christ. But also notice that Paul grounds this purity, blamelessness, and righteousness in a destination: the day of Christ. As in verse 6 the apostle expressed his confidence that God would complete the Philippians’ partnership in the gospel at the day of Jesus Christ, he now urges them to continue living godly lives in light of that Day. As we briefly discussed in our first study (and will continue to discuss in more depth), we are generally not in danger of being too heavenly-minded but of being to earthly-minded. Many fear that fixing our eyes on eternity will cause us to be absent from the present, yet the opposite is often true. Greater desires for heaven tend to create godlier lives on earth. Like Abraham or Christian in The Pilgrim’s Progress, we are each “looking forward to the city that has foundations, whose designer and builder is God” (Hebrews 11:10). Without our destination before our eyes, we risk living our entire lives as aimless. This is poignantly displayed in Alice’s Adventures in Wonderland by Alice’s question to the Cheshire Cat: “Would you tell me, please, which way I ought to go from here?’ ‘That depends a good deal on where you want to get to,’ said the Cat. ‘I don’t much care where–’ said Alice. ‘Then it doesn’t matter which way you go,’ said the Cat” (57). The coming of the Day of Christ orients both where and how we walk through this life. Everything we do must be done in the light of eternity. Finally, Paul concludes his prayer with two clauses: that comes through Jesus Christ, to the glory and praise of God. Why does the apostle end by emphasizing that our righteousness, discernment, knowledge, and love must come through Christ and to the glory and praise of God? I believe it is because each of these virtues can be falsified and counterfeited. Let’s examine righteousness first. Most people may think that righteousness always equals godliness; therefore, if someone is living a moral life, they must also be living a life approved by God. This belief is often a core tenant of nominal Christianity in the West, which is sometimes called moralistic, therapeutic deism. In this religion, morality and Christianity are nearly synonymous terms. Paul, however, did not promote this theology. In 2 Timothy 3:5, Paul warns his disciple to avoid those who have “the appearance of godliness, but” deny its power. Morality is not the same as godliness. Godliness certainly intersects morality, but ultimately, godliness is rooted in God, while morality can be rooted in anything. Most often, however, morality flows from self. We do good deeds in order to feel better about ourselves or to look better in the sight of others. These motivations may produce morality, but they cannot produce godliness. Thus, a righteousness that does not come through Jesus to the glory and praise of God is not true, biblical righteousness. Likewise, love can be very easily counterfeited when God taken out of the equation. This is important to understand because I would argue that no biblical virtue is more imitated by culture than love. Songs repeatedly tell us that love is the highest virtue. Movements continually declare that spreading love is their ultimate goal. Indeed, love is often exalted to the status of divine. But this supreme exaltation of love is quite different from the biblical exaltation of love (1 Corinthians 13) because they derive from different sources. Biblically, we are told that love comes from God because God is love (1 John 4:8), which is one of the most butchered phrase in all the Bible. This does not mean that God is exclusively love or that God is the same as love. Instead, it means that one of God’s chief characteristics and attributes is love. God defines love, and He perfectly embodies love because all love emanates from Him. All love is, therefore, to the praise and glory of God because true love can only come through Him. Contrast this with the source of the worldly idea of love, which is most often self. Cultural love is defined by self, since there is no greater source of appeal. Because of this, elevating love as supreme is really a sly way of making the self supreme. If love is ultimate and I define love, what does that make me? Let me emphasize that I am not denying the sincerity of this kind of love’s affections and actions. They may indeed be genuine and even sacrificial, but if the source is bad, then everything is corrupted. If God, being love, was represented as a person, then our display of biblical love would be like a portrait of Him, His image, but the worldly counterfeit would be a caricature of God. Neither a portrait nor a caricature is the object, but a portrait faithfully portrays the subject, while a caricature is a falsification. Even worldly love displays something of God’s character, but the image is ultimately twisted. The Source cannot be corrupted, but the image can. If our love does not flow from God as its acknowledged source, we will very likely display a broken and distorted image of His endless and steadfast love. Our love, therefore, must flow through Christ, to the glory and praise of God. Only then is will it truly be love. Now that we’ve walked through Paul’s prayer for the Philippians, I want to take a few steps back in order to address the topic of prayer. Particularly, I would like to ask this question: Do you pray like this for your brothers and sisters in Christ? Indeed, since the Philippians were likely undergoing persecution in some form or fashion, we might have expected Paul to pray for their endurance in Christ. Or because there were arguments and rivalries in the Philippian church, Paul could have prayed for their unity in Christ as His Body. Yet Paul prays for their love to abound more and more. This is a prayer of fundamental importance because it cuts to the heart of the Christian faith. If love is how we grow in maturity, then by praying for a deepening of love he also prays for growth in every way. Of course, this isn’t to say that praying for other things is unimportant. Currently, my father-in-law is battling Stage-4 gastric cancer. We long for prayers for his strength and for his healing; however, the state of his soul is more important than the state of his un-resurrected body. Even if the LORD is gracious enough to heal his body, he will still see God face-to-face within a few decades. Praying that he would love the LORD with all his heart, soul, mind, and strength and love his neighbor as himself is far more critical than praying for his physical ailments. And the same is true of us. Could not our lack of love for one another stem from our failure to pray like this? Will you, therefore, pray like Paul? Will you pray that the love of God would, by the Spirit, flow through ourselves and our brothers and sisters? And may we do this continually. Paul prayed for it to abound more and more because the love of God has no limit. We must fight to never grow stagnant in our love, for there is always room for us to love more and more in light of the One who has loved us endlessly. And I am sure of this, that he who began a good work in you will bring it to completion at the day of Jesus Christ. It is right for me to feel this way about you all, because I hold you in my heart, for you are all partakers with me of grace, both in my imprisonment and in the defense and confirmation of the gospel. For God is my witness, how I yearn for you all with the affection of Christ Jesus. So far, we have seen Paul’s heart of thanks for his partnership with the Philippians in the spread of the gospel. He expressed this gratitude to God who worked through them, and he claimed to thank God for the Philippians every time he remembered them. We now continue Paul’s opening remarks to his beloved brothers and sisters. In these three verses, Paul expresses his confidence that because of their strong display of faith God would ultimately complete the Philippians salvation at the day of Jesus Christ. He also emphasizes for them how strongly he yearns for all of them with the affections of Jesus Christ. Let us draw comfort and challenge from this text. May we grow in love for one another as we make ready for Christ’s return. The doctrines and applications of this small sentence are tremendous, so we will eat the elephant piece by piece. The first question that we must seek to answer is: what good work was begun in the Philippians? Of course, to answer this question, we must remember that our verse is directly tied to verses 3-5 from our previous study. In those three verses, Paul expressed his thanksgiving through prayer to God because of the Philippians partnership with him in the gospel. The present expression of Paul’s confidence in the completion of the Philippians salvation must be understood within this context, especially since Paul refers to their partnership as beginning from the first day until now (v. 5). The good work, therefore, that was begun in the Philippians is their partnership in the gospel. The next question for understanding this verse must be: what does being brought to completion at the day of Jesus Christ mean? The opening expression of thanks in 1 Corinthians, which parallels Philippians to a great degree, provides a clearer understanding of what exactly is meant by the day of Jesus Christ. 1 Corinthians 1:4–9 | I give thanks to my God always for you because of the grace of God that was given you in Christ Jesus, that in every way you were enriched in him in all speech and all knowledge—even as the testimony about Christ was confirmed among you—so that you are not lacking in any gift, as you wait for the revealing of our Lord Jesus Christ, who will sustain you to the end, guiltless in the day of our Lord Jesus Christ. God is faithful, by whom you were called into the fellowship of his Son, Jesus Christ our Lord. What then is the day of Jesus Christ? It is the day when “the heavens will be set on fire and dissolved, and the heavenly bodies will melt as they burn!” (2 Peter 3:12). It is the day when Christ, who first came “to bear the sins of many, will appear a second time, not to deal with sin but to save those who are eagerly waiting for him” (Hebrews 9:28). It is the final day of vengeance falling upon “those who do not know God and on those who do not obey the gospel of our Lord Jesus” (1 Thessalonians 1:8), while granting relief to all who are afflict for the sake of Christ (1 Thessalonians 1:6). In short, the day of Jesus Christ will either be our supreme joy and pleasure or our utter horror and terror. The final preparatory question we need answered is: who is completing the good work? Paul claims confidence that he will complete the good work that he began in the Philippians, but to whom is Paul referring? The answer is found in verse 3. God, who was the recipient of Paul’s thanks for the Philippians, is now being proclaimed as one who will bring their partnership in the gospel to its completion as they stand before Christ. God, therefore, is the one who began the good work of their partnership in the gospel in the Philippians, and God will also be the one who completes that work so that they will find joy and peace at the day of Jesus Christ. We now have the clarified mechanics for analyzing and applying the verse more fully. Understanding this verse in context, enables us to avoid one of the most common errors when quoting our text since it is often cited as a general proclamation that God will complete the salvation process. It has, therefore, contributed to the overused adage, “Once saved, always saved.” Unfortunately, this thought, while deriving from biblical truth, is a severe over-simplification. Indeed, Paul is not speaking of the completion of our salvation as if it were a law of nature: if an apple falls from a tree, it hits the ground; if a person asks Jesus to forgive their sins, he or she will go to heaven when they die. Remember that the good work began in the Philippians is not exactly their moment of justification; rather, the good work is their partnership in the gospel that began at the moment of their justification. As we learned last week, God saved the Philippians and brought them into a fellowship centered upon the message of the gospel and a partnership dedicated to the mission of the gospel. This fellowship/partnership was what caused Paul to constantly thank God for them in joyful prayer because through the gospel, God brought them together in the gospel to the send them into the world for the gospel. It is this partnership that God will complete at the day of Jesus Christ. Allow me to make clear what I am NOT saying. Salvation is not dependent upon being in community with other Christians. We are saved solely by the death and resurrection of Christ. Even baptism for all its importance, weight, and significance is not necessary for salvation. But like baptism, community is necessary for our assurance of salvation. God designed it to be so. We can view this at work in church membership. Upon affirming someone as a church member, we declare our sincere belief that they are genuine follower of Jesus, while excommunicating a church member through discipline is a declaration that we can no longer affirm his or her salvation since there is no sign of repentance. Biblical community, therefore, builds the assurance that our salvation is genuine by affirming and safeguarding our faith. On the converse, this is also why a decay in our walk with the LORD is almost always followed by a withdrawal from community. Just as going for a walk in the sun is both the best thing for someone experiencing depression and often the last thing they want to do, so being around other brothers and sisters is best thing for our sin-filled, joyless souls, while also being the last thing we want to do in those moments. We create all kinds of excuses for avoiding community. Exhaustion seems to be one of the most common ones today for avoiding corporate worship. After a heavy and draining week, the idea of going to church on Sunday is simply too much work, too much hassle. Tragically, this kind of thinking ignores both Jesus’ command to come to Him for rest (Matthew 11:28) and His promised presence among those who gather in His name (Matthew 18:20). Going beyond the occasional withdrawal from community, what about Christians who blatantly refuse to participate in worship among other believers? Such people often appear to be entirely certain of their salvation when conversing with them. However, based upon texts such as this one, assurance of that kind can be deadly. Apart from community to encourage and correct us, we can easily form our own idea of who God is, either avoiding any Scriptures that contradict it or simply avoiding the Scriptures altogether. As I said before, a failure to participate in Christian community does not necessarily mean that he or she isn’t saved. It does, however, mean that they can have no biblical assurance of their salvation, and indeed, it certainly is an indication of a possible false conversion. If this describes you, repent. If you consider yourself to be a Christian, but you avoid being a part of Christ’s Bride and Body, the Church, then this is great evidence that you do not truly know Christ. Repent of self-assurance, and join the partnership in the gospel. Having now discussed what this verse is not teaching, let us take note of what it is saying. For all who are partnering together in the gospel, God both started that work and will finish it. Referenced here are all three stages of salvation. Our partnership in the gospel began, as noted last week, because God reconciled us both to Himself and to one another by the blood of the cross. We call this one-time work justification. Our sin is forgiven, and we are legally declared righteous before God. But from this comes the ongoing work of sanctification. In sanctification, we partner with one another in the gospel to kill our indwelling sin and to fulfill the Great Commission. All of this points toward the day when we will be glorified, when our salvation will be complete and we will no longer be capable of sin. Philippians 2:12-13 |Therefore, my beloved, as you have always obeyed, so now, not only as in my presence but much more in my absence, work out your own salvation with fear and trembling, for it is God who works in you, both to will and to work for his good pleasure. Are we called to do good works for God? Certainly. Do those good works require a willful contribution on our part? Absolutely! Yet even as we participate in our sanctification (which differs from justification and glorification because in them we are simply recipients), God alone gets the glory because our will and works are the result of Him working in us. Therefore, just as we trust God to forgive our sins and save us, we can also trust that He will ultimately save us from our sins because He is currently empowering us to overcome sin and walk in obedience day after day. The good work of our partnership in the gospel, therefore, is an evidence of salvation, but it does not contribute to our salvation. Walking in obedience to God cannot cleanse previous sins, but it can indicate a heart that has been transformed by the LORD. The beginning, middle, and ending of Christian life is overseen by God; thus, He alone is our hope of heaven and all its joys, a hope that is our “sure and steadfast anchor of the soul” (Hebrews 6:19). In this hope, we have a certainty, a surety along with Paul, that God will complete whatever work He begins. Christian, are you trusting that God alone can bring you safely into His kingdom, or have you, perhaps subtly, begun to rely upon your own good works? In what ways do you willingly embrace the safeguards of Christian community to provide assurance of your salvation? After expressing his deep thanks for the Philippians and his confidence in their perseverance in the faith, Paul now expresses his affection for them. Notice the intimate expressions being used: I hold you in my heart and how I year for you all with the affection of Christ Jesus. This “feeling” that Paul has for the Philippians is a key word that is found in nineteen verses in the New Testament, and seven of them are from Philippians. Gordon Fee lauds the NIV’s translation of as “feel” (which is true of the ESV as well) instead of the more common “mind” or “mindset” because it incorporates affections as well as thoughts (89). Thus, as we see Paul continue to urge us throughout the letter to conform our minds to Christ, this verse must be a reminder that doing so is no mere intellectual exercise. God desires our thoughts and affections. But why is Paul so affectionate for the Philippians? He holds the Philippians in his heart, meaning he keeps his thoughts of them in the very core of who he is. They are in his heart because of their partaking of grace alongside him. Partakers here is another form of the word koinonia or partnership that Paul used in verse 5. He is, therefore, rooting his affection toward them, like his thanksgiving for them, in their gospel-formed community. Not only did they continue to do the work of defending and confirming the gospel in evangelism, preaching, and their daily lives; they also continued to minister to Paul during his imprisonment. Ancient prison systems were far from being as humane as they are today. Often, if a prisoner was not given supplies by family or friends, the prisoner would be left to die, making room for a new prisoner. Over the first couple of centuries in church history, this was often exploited during times of persecution as a form of luring Christians into the open. Officials would arrest and imprison one Christian and then arrest more whenever others came to support and encourage them. Ministering to someone prisoned for the gospel would be done in great seriousness. For these reasons, great was Paul’s affection for the Philippians. To learn that we do not want what we think we want means learning that we are not who we think we are. Our wants, desires, and yearnings reveal our true loves. And Paul’s yearning for the Philippians reveals the truth of his love for them and for the God who saved them. But how can we know that our affections are rooted in the gospel like Paul’s? Or if we find ourselves with improper longings, how can we stir our affections toward God Himself and our brothers and sisters in the faith? Our habits and routines act as religious programs that guide what our heart loves, which is why so much of the Christian life seeks to become a rhythm in our lives. In particular, the routines of private spiritual disciplines and corporate worship reshape our desires and loves toward the things of God. We can see the fruit of private disciplines in last week’s text: Paul’s love for the Philippians is stirred and enlarged by his constant prayer of thanksgiving for the Philippians being made to God. Of course, like justification, we could argue that God alone must form a heart of affection within us, but prayer, like the other spiritual disciplines, is a tool of sanctification that God has graciously given to mold our hearts toward conformity with His. This is also true of corporate worship. In many places today, weekly worship is attacked as being non-essential to the Christian walk. The argument is typically that faith is an individual matter, so as long as I read the Bible and pray, I can have a healthy relationship with Jesus all by myself. Right? Hebrews 10:24–25 | And let us consider how to stir up one another to love and good works, not neglecting to meet together, as is the habit of some, but encouraging one another, and all the more as you see the Day drawing near. The author of Hebrews is commanding us to stir up each other into love and good works (quite like what God will one day complete in us). This selfless focus on others is the Christian mentality because it is Christ’s mentality (Philippians 2:5). Regularly meeting together for corporate worship must be our habit for continuing to encourage one another. Just as daily prayer fosters our love of God to whom we pray and for the people for whom we pray, so corporate worship guides our love for our fellow members of Christ’s Body. The shift of focus upon self as the consumer of worship is one of the gravest evils of the seeker-sensitive movement. Now, don’t get me wrong. Worship should absolutely be done with excellence, and we should make every effort to call sinners to repentance and minimize any unintentional and distracting awkwardness. Yes, and amen! But weekly worship is not at all about what we want; rather, it is, first, about adoring God together and, second, about encouraging God’s saints. Notice also how the author of Hebrews urges us to do this all the more as you see the Day drawing near. He is, of course, referring to the day of Jesus Christ. As we see the final judgment of all mankind approaching, let us not neglect meeting together to encourage one another to continue partnering the gospel. As we ingrain these habits of grace, we will continue to draw near to Christ and to each other, growing in sanctification and our certainty that God will finish His good work in us on the Day of Jesus Christ. Can you relate to Paul’s yearning affection for the Philippians to your affection for fellow believers in your life? How do spiritual disciplines and corporate worship grow our affections for God and His people? What do your own daily and weekly habits and routines reveal about your yearnings and affections? I thank my God in all my remembrance of you, always in every prayer of mine for you all making my prayer with joy, because of your partnership in the gospel from the first day until now. Paul’s letter to the church of Philippi is quite unique from most of his other letters. In Philippians, Paul is not writing to correct rampant sin or false teaching, as with the Corinthian letters and Galatians. Nor is he writing primarily to teach major doctrines or even the basics of the faith, like his letters to the Romans and Thessalonians. Instead, Paul writes to Philippi (a church that he planted) in response to a gift that they sent to him through a man named Epaphraditus. Philippians then is part ‘thank you’ letter and part encouragement to distant friends. From what can be gathered in the letter itself, the Philippians appear to be quite doctrinally sound and growing in love, but Paul still encourages them to continue growing more and more into Christ, which will enable them to rejoice in Christ even in the midst of suffering and persecution. Last week, we studied the greeting of Philippians, reintroducing ourselves to Paul and Timothy and learning about Philippi. Now we move into the body of Paul’s letter where he begins by expressing his thankfulness for the Philippians and their partnership with Paul in the gospel. We should learn much by the example of thanksgiving, prayer, and gospel partnerships found within these verses and the rest of the letter to come. Leaving the greeting, Paul begins the body of his letter by expressing his thankfulness for the Philippians. Notice that I said for the Philippians instead of to the Philippians. Since Paul is writing this letter in response to the Philippians sending him a gift via Epaphroditus (4:18), we might naturally assume that his thanksgiving would be rightfully directed toward them. Paul, however, has other plans. His thankfulness for the Philippians is given to God. Why does Paul give God credit for the generous giving of the Philippians? As we will soon see in verse 6 and later in verse 13 of chapter two, Paul understands that behind every act of love and obedience that we perform lies the grace, will, and power of God to enable those very works. Paul is also merely applying the words of Jesus from John 15:5: “I am the vine; you are the branches. Whoever abides in me and I in him, he it is that bears much fruit, for apart from me you can do nothing.” Without the powerful working of Christ in the Philippians, they could have done nothing. Notice that two kinds of works exist here. First, there are works toward salvation, which cannot save. Second, there are good works for which we were created to walk in. Paul explicitly tells us that we cannot boast in any work toward our salvation since we can only be saved by grace through faith. Justification is a gift of God; therefore, all of our boasting can only be in Him. Since we contributed zero effort and ability, we get zero glory. And while the good works that we do in our daily sanctification require effort and work on our part, the prohibition on boasting applies to these as well. Paul clarifies this working in 1 Corinthians 15:10, saying: “But by the grace of God I am what I am, and his grace toward me was not in vain. On the contrary, I worked harder than any of them, though it was not I, but the grace of God that is with me.” Paul’s hard work was only possible by the grace of God within him. All of our good works are performed by God’s gracious working in us. Paul knew that to be true of himself, and he knew it to be true of the Philippians. Rightly then was Paul thankful for the Philippians to God. Do you find this line of thought fair? Do you agree that God deserves the thanksgiving for your good works? In expressing your thankfulness to other believers, do you give thanks to them or to God for them? The implications of this thought may prove quite awkward to act out at first, but is it not worth it to give God the glory that is due to Him? As Paul’s thought moves forward, he explains the avenue through which he expresses his thanksgiving to God for the Philippians: prayer. Notice how Paul connects his remembrance of the Philippians to his prayer for them. The apostle makes this connection to emphasize to the Philippians that he prayed for them as often as he remembered them. For Paul, prayer was not merely a routine to be completed in the morning and/or at night, nor was prayer a to-do item that earns us bonus points with God. Instead, prayer infiltrated his daily life. He likewise commands us to pray at all times (Ephesians 6:18) and without ceasing (1 Thessalonians 5:17). And because prayer so saturated his life, Paul gave a prayer of thanks to God each time he remembered the Philippians. For many Christians, this kind of prayer may seem extreme or simply unachievable, but Paul will later in the letter urge the Philippians to imitate him and his example (3:17). This must be the type of life that we long to live: a life of constant communion with our God. If this sounds like a great burden, note that Paul made these prayers with joy. The apostle was able to pray without ceasing because he was not constantly battling against himself to pray. Prayer was for him a joy. He enjoyed and delighted in prayer. Unfortunately, believers today often seem to want to find joy in prayer, but doing so is difficult because prayer to us is often more of a duty than a delight. We know we need to pray more, but the task can be incredibly daunting. Questions race through the mind. What is the best time to prayer? Where should I pray? Does posture matter in praying? What do I say? What happens if I say the wrong thing? Do I pray to the Father only, or can I pray to the Jesus and the Spirit as well? What’s the minimum time I should spend in prayer? Do I need to spend more time praying for others than I do myself? Soon they cease being questions, morphing instead into excuses. How then should we pray? And just as importantly, how do we learn to enjoy praying? First, we must note that deliberate and private times of prayer are absolutely necessary for the Christian walk. While the Bible sets no strict time or time-limit for these times of prayer, it offers plenty of guides and content to help us shape these times. The most famous is, of course, the Lord’s Prayer, which is a wonderful, structured outline to pray through each day. Verses 9-11 also provide powerful direction for how we might pray. In fact, with a robust knowledge of the Scriptures, all of God’s Word may serve a guide for our times of focused and private prayer. But, as have already suggested, prayer can and must leave the closet. In order to pray without ceasing, prayer must continue beyond times of focused, private prayer. We ought to pray these prayers whenever other believers come to mind (like Paul did with the Philippians), whenever we are stressed or anxious, whenever non-believing loved ones come to mind, or really anything else that can be brought to the LORD. Please don’t let this kind of praying intimidate you. They need not be long and lengthy. They can be as short and simple as, “Father, give me wisdom for making this decision” or “LORD, thank you for the fellowship within my community group.” This type of praying simply keeps dialogue with God throughout the day, acknowledging that He sees and controls everything and submitting ourselves to His will and kingdom again and again. To use an imperfect analogy that nearly each of us can relate to: if prayer was a phone, established times of private prayer would be like phone calls and in-the-moment prayers would be like text messaging. In the same way that text-messaging cannot replace the depth of hearing one another’s voice, so in-the-moment prayers cannot replace deliberate times of prayer. But also just as texts can be sent in times when phone calls aren’t possible, so these quick prayers can be made in any circumstance. But still none of this answer the question of how we can come to enjoy praying. Unfortunately, there is no quick answer to this question. No multi-step program can increase our joy in communing with God; enjoyment of prayer can only come through knowing God more. And of course, we only come to know more of God through praying and reading the Scriptures. So we learn to enjoy praying by praying. Ultimately, when we begin both to practice and understand the beauty of having constant access to the Creator as our Father, we will also realize the joy of prayer. Little by little, we will come to have the same mentality of Thomas Brooks when he claims that “a man whose soul is conversant with God in a closet, in a hole, behind a door, or in a desert, a den, a dungeon, shall find more real pleasure, more choice delight, and more full content, than in the palace of a prince” (11). What does your prayer life look like? Do you practice both private and constant prayer, and what does that look like? Do you enjoy praying? Is it a duty or a delight? In verse 5, however, Paul cites a more specified reason for rejoicing in his prayers for the Philippians: their partnership in the gospel. The Greek word that is translated partnership here is frequently translated as fellowship or community. This word has tremendous theological implications throughout the New Testament. It refers to the close communion among God’s people, the community that Jesus is forming by His own blood. It is the fellowship that united church in Jerusalem after Pentecost (Acts 2:42). It is the fellowship that marks us a being children of God: “But if we walk in the light, as he is in the light, we have fellowship with one another, and the blood of Jesus his Son cleanses us from all sin (1 John 1:7). It is the same kind of communion that we now have with the Spirit (2:1). It is the same participation that causes us to share in the sufferings of Christ that we might also be glorified with Him (3:10). This partnership, fellowship, and community is, therefore, horizontal and vertical. It is our communion with Christ and with one another. It is the embodiment of the call to obey the Great Commandment, loving God and loving our neighbors. But why exactly is this partnership so intrinsically rooted in the gospel? Without a communion first with Christ, we cannot fully have community with each other. Why, you might ask? Being a community is hard work. In fact, because of sin’s dominance in the world, true community should be little more than a daydream. God designed us to need other people, but as we studied in Ecclesiastes 4, we repeatedly hurt and scar one another. Sin doesn’t just separate us from God; it also alienates us from our fellow humans. This, therefore, gives us another depth to the beauty of the gospel. As we discussed in the previous text, the gospel (or good news) is that God forgives sins and makes us His children because of the sacrificial death of Jesus Christ. Although our sin alienated us from God and made us hostile in mind toward Him, Jesus reconciled us to God, making peace by the blood of His cross. By His death and resurrection, Christ bore the complete wrath of God in our place, while also freely giving us His perfect righteousness and obedience. By the cross and the cross alone are we reconciled to God our Father and now have communion with Him by the Holy Spirit dwelling within us. Such truth is enough to meditate on the goodness of God for all eternity. Other than Paul (a Jew) and the Philippians (predominately Gentiles) being united in the gospel’s message, they were also united in its mission. For all believers, as with Paul and the Philippians, our partnership in the gospel is centered upon this mission: to spread the gospel to every nation. Such a mission unfolds from the reality that the gospel itself is a rescue mission. Jesus came to save us; now He sends us out to spread that message. Paul’s journey to plant churches was a literal mission to accomplish that goal. The establishment of a church in Philippi was a fruit of Paul’s mission. We are then told that the Philippians shared in Paul’s mission through some form of a gift (4:18). The gospel united them together in fellowship and then scattered them in partnership to spread the good news. These are the two essential and inseparable marks of Christian community. On a church-wide level, how is a fellowship within our own congregation? Is it healthy or in need of growth? But how are we also partnering with other congregations (both near to us and abroad) to spread the gospel? On a personal level, how are partners in the gospel? Which of your friends pray not just for your physical needs but for your walk with the LORD to deepen each day? Who is challenging you to be missional with your neighbors, your job, and your family?